Let's face it, sometimes I just don't have time to make extravagant meals. Between work, kids, school, church responsibilities, soccer, dance, and everything else we have going on, sometimes I am just exhausted by the time I get home. These are the nights I really need my "go to" meal. You know, the meal you can put together in under 15 minutes. I admit, I have several of these meals. I usually keep the ingredients on hand for the times that we just need something to eat and fast. This is one of our favorite "go-to" meals. Preheat oven to 425 degrees. Cut loaf of bread in half lengthwise. Place on cookie sheet, crust side down. 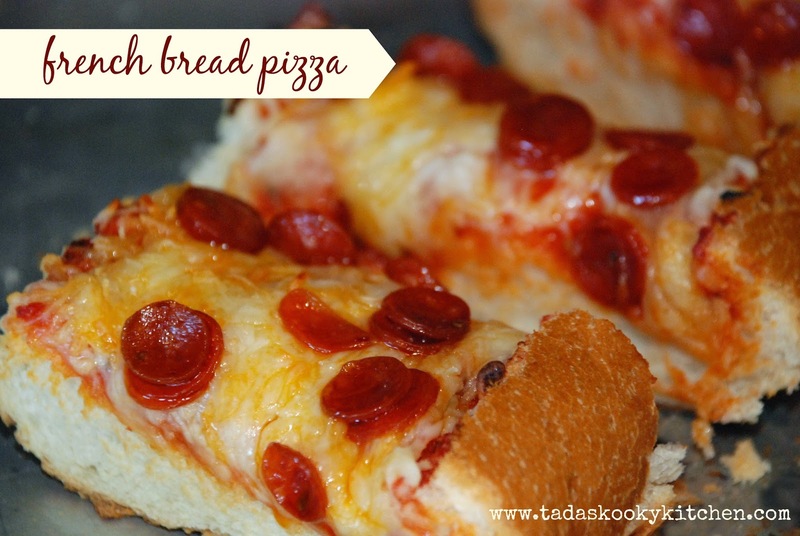 Spread sauce evenly over bread, top with cheese and pepperoni. Bake in oven for 10-14 minutes or until cheese is melted and golden.